This fine, gold pendant is a marriage pendant known as a tali from South India. 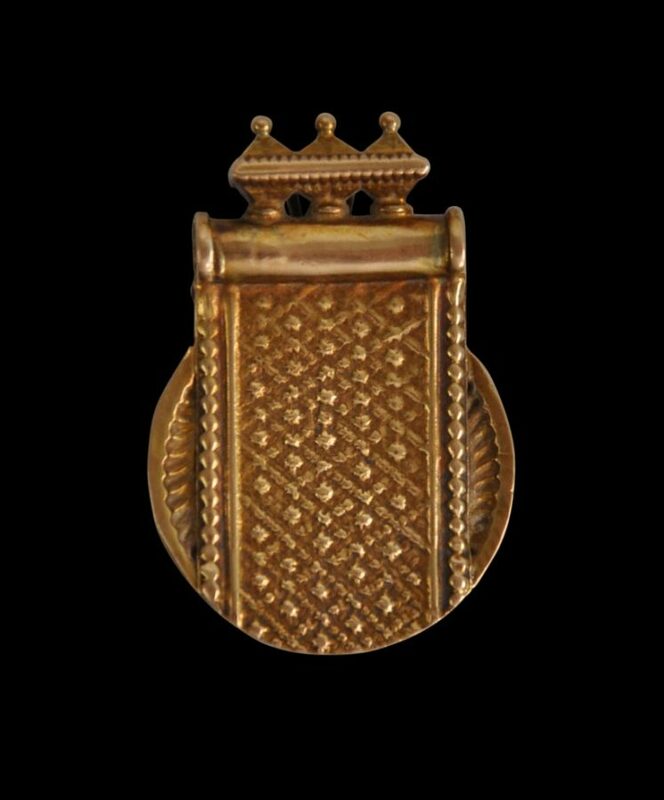 It is of solid gold that has been cast, chased and soldered with gold applique work. The front is decorated with a central raised finial around which are a stylised pair of peacocks with tail feathers depicted almost as foliage, separated by flowers, and within a raised border also decorated with flowers. 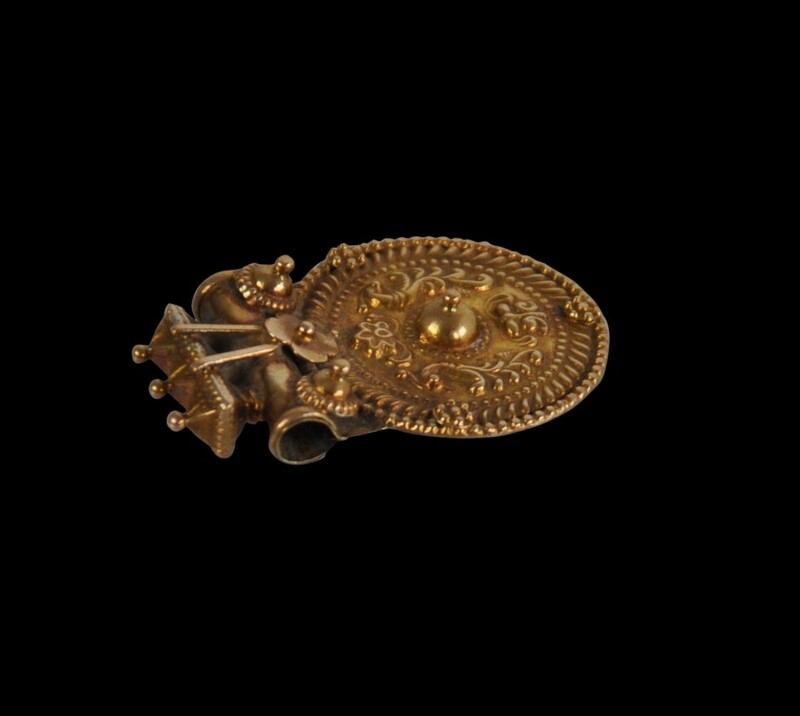 The top of the pendant has a temple-like finial over a gold tube through which a chain can pass. The tube is further decorated with three applied gold flowers. The reverse is decorated with a trellis and grain motif. Very similar examples are illustrated in Aitken (2004, p. 112). The tali pendant here is in an excellent condition, with some pleasing signs of age and wear. It is very wearable. 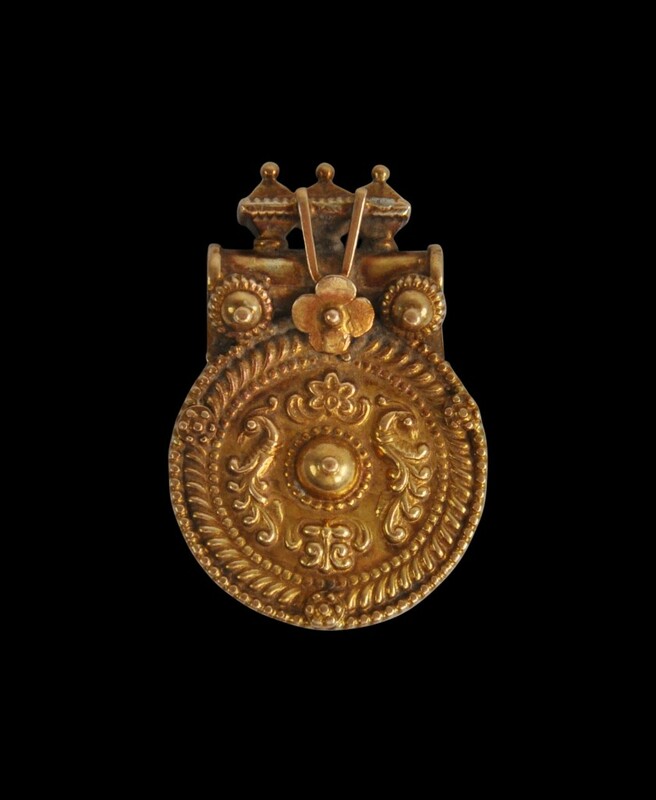 Aitken, M.E., When Gold Blossoms: Indian Jewelry from the Susan L. Beningson Collection, Asia Society & Philip Wilson Publishers, 2004. Bala Krishnan, U.R. et al, Icons in Gold: Jewelry of India from the Collection of the Musee Barbier-Mueller, Somogy, 2005.